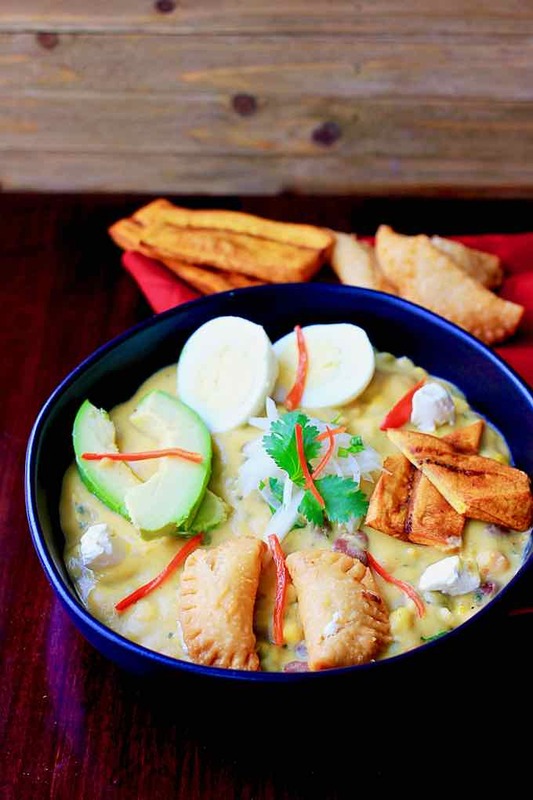 Fanesca is a very traditional soup from Ecuador that is steeped in culture, history and flavored with centuries of tradition. 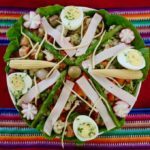 You can think of fanesca in Ecuador as being a lot like Christmas time for the palate and Ecuadorian culture as a whole. This special, rich and relatively complex soup is served only during Holy Week (mid-April), although in recent years, the time frame for this seasonal dish has gradually been widening. At restaurants, many are now able to indulge in fanesca an entire month before it’s typically served at home. 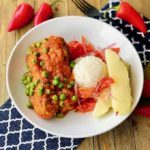 The origin of this traditional Ecuadorian dish dates back to Pre-Columbian times, during one of the biggest celebrations that revolved around the equinox. This day, when the Earth’s equator passes through the center of the Sun, happens twice a year; usually around the 20th of March and the 23rd of December. It was an astronomical event celebrated by many ancient cultures around the world, like Ecuador’s native people and the Inca Empire (which would later conquer part of the Ecuadorian region). The equinox symbolized the beginning of a new life cycle that came with the New Year. 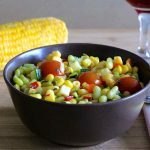 Along with this celebration came the harvest season for many of the unripened grains that were later utilized in the preparation of this seasonal dish. The fanesca dish itself went by the Quechua name of uchucuta, meaning unripened grains cooked in herbs and spices. With the arrival of the Spanish conquerors came cultural assimilation. The Spanish were cunning enough to combine the already dominant traditions of the natives with their own Catholic beliefs, resulting in the combination of catholic festivities that were filled with indigenous symbolism and imagery. Soon enough, uchucuta changed its name to fanesca. It was then included as part of the Semana Santa (Holy Week) celebrations due to how perfectly it coincided with the equinox celebrations. What is the origin of the name fanesca? Even though the origin of the actual name fanesca is unknown, several hypothesis are shared amongst the Ecuadorian population. 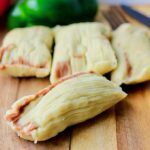 The mystery surrounding fanesca, especially due to the fact that no other country shares the dish, or the custom, has resulted in a series of historical (and not so historical) versions. One of the more colloquial theories affirms that it was invented in Colonial times by someone named Juana, in a long-lost hacienda of the high Andes, initially christened Juanesca. Another version is a dish in Portugal that is very similar, made with beans and cod (bacalao). 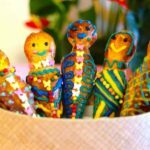 The other obvious origin is pre-Hispanic, tracing back to the celebration of Mushuc Nina or The Day of Fire, a ritual that marks the beginning of the Andean year in the month of March, when grains are harvested. The dish associated with this origin is called uchukuta in Kichwa, meaning tender beans cooked with chili and herbs. Like fanesca today, it purportedly included squash and pumpkin, peas, broad beans, mellocos, corn and beans, in the recipe, all harvested at the beginning of February when the Pawkar Raymi festivities take place (a kind of Spring Fest). It is believed that uchukuta was served with the meat of wild guinea pig. Its origin and significance are of little importance, however, when it comes to putting the dish together. Every family has their own secrets for preparing fanesca (peeling every type of legume and pulse, even lentils, for example!) and grandmothers, present or in spirit, have the magic to gather entire families together to prepare and share the tradition. Some peel the legumes, others slice onions, others knead balls of flour, others cut cheese. 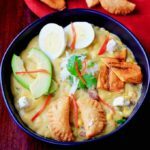 Depending on the region of Ecuador where fanesca is prepared, the soup will have certain variations specific to the geography of the area. All in all, the dish is prepared, shared, and enjoyed by a wide number of Ecuadorian families during this special holiday of Semana Santa (Holy Week). The soup consists of 12 different grains (representing the 12 apostles), cod fish (representing the ichthys, or “Jesus fish”) all cooked in milk and embellished with hard boiled eggs and mashed potato dumplings (molo) on the side. 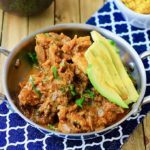 Culturally, the dish is renowned for bringing families together, with members participating in this collective “labor of love” that requires time, patience and a wide variety of different ingredients. The dish itself is sometimes prepared at home and then exchanged between neighboring families after its ready. There is nothing like it in the world. The fanesca soup is one of those dishes that you just can’t invent twice. It has become rooted in the identity of the Quiteño and now defines Easter in Ecuador. The fanesca begins on farms amid fields across Ecuador’s countryside in the run-up to the weeks before Easter, the ingredients of the soup, unparalleled in variety and quantity, are harvested and gathered. Marketplace sellers organize their stands so as to make the purchase easier. Buyers then return home with baskets full enough to feed an army for weeks. 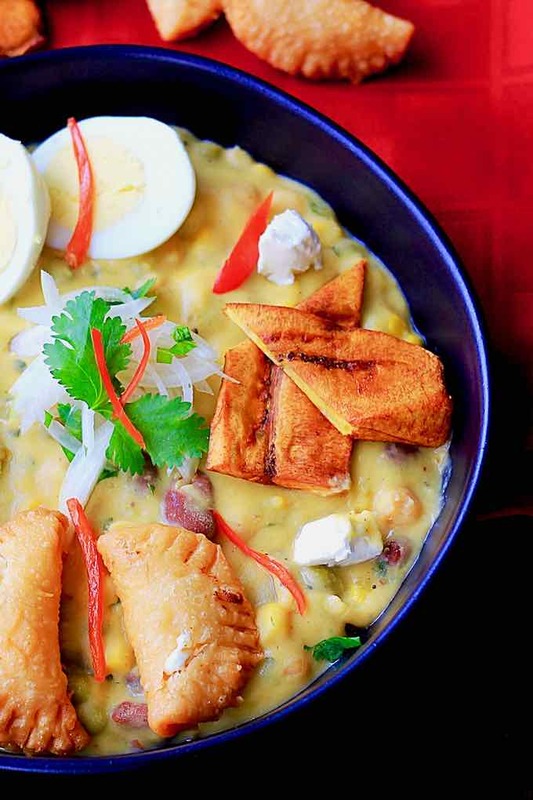 If Lent was conceived as a period of intense fasting, with the intention of reducing the penitent to nothing but skin and bone, in Ecuador this dish is conceived to preclude such a fast, and flagrantly at that. The ingredients put together are, without a doubt, too much to handle for the organs of a body in the process of a spiritual cleansing. Fanesca is usually consumed at midday, which is generally the principal meal of the day within Ecuadorian culture. In summary, fanesca is a mix of flavors that once you taste it, you will remember forever. 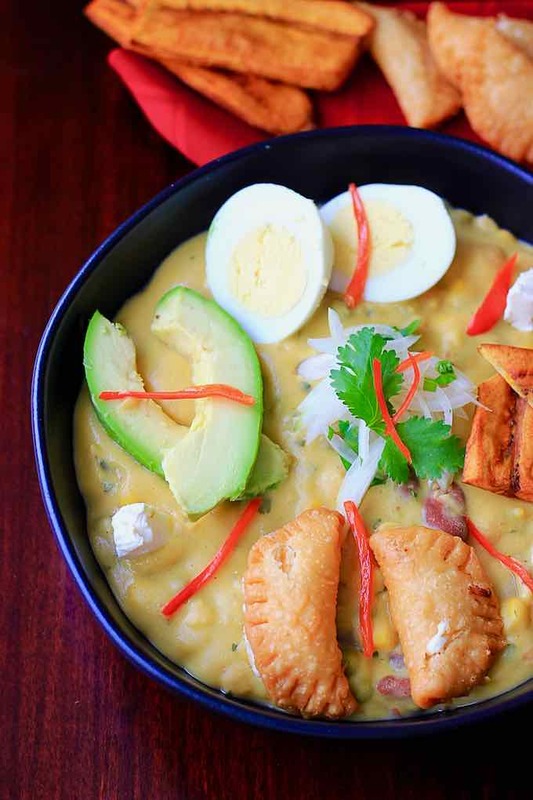 Fanesca is a traditional soup from Ecuador, typical of the Holy Week, prepared with cod, pumpkin, squash, and various pulses. It is enriched with cheese and milk. The day before, wash the salted cod and let it soak overnight in a large amount of cold water to rid it of excess salt. Cook the squash and pumpkin in water for 30 minutes and then purée. Add the peas, corn, fava beans, rice, white beans, lentils and chickpeas, all pre-cooked. Mix well and set aside. In a frying pan, heat the butter over medium heat and sauté the onions and garlic, add the achiote, then the ground peanuts, the spices, and finally the lupini beans. Pour this mixture into a large pot, add the reserved purée and beans mixture, the cabbage leaves, milk and creme fraiche. Mix well. Cook covered on low heat for 20 minutes. Rinse the cod and add to a Dutch oven. Cook gently until it breaks down into small pieces and add it to the previous preparation in the pot. Mix well. Add the cilantro and cook on low heat for 10 minutes. To thicken the soup, add the cream cheese (or even a little more creme fraiche) just before the last boiling.